Teachers, politicians, educationalists, parents, journalists – everyone who has seen our money mentors at work has been full of praise, both for the commitment of the students teaching the lessons and of the involvement of the pupils. But don’t just take our word for it! “This has been such a valuable programme for the school to work on. Throughout the lessons the children have worked on practical activities looking at saving, identifying ‘wants and needs’ and budgeting. We believe it is vitally important that from a young age all children develop their understanding of money management as it affects every aspect of daily life. I know that the staff have found some of the advice really valuable too.” Georgina Ryding, Headteacher at St Matthews, Bolton. “The money management training that our pupils receive is a vital experience which positively impacts not only on the pupils but their families too. The children begin with little understanding of the value of money and the importance of saving and after the lessons they are confident in creating budgets and using language that most adults don’t use, such as surplus and deficit. “We have been working with Mr Souter and his team for a few years now and are still enjoying seeing the benefits for our children. They have enjoyed the lessons and been thoroughly engaged in the activities due to the lively presentation skills of Mr Souter! “Mr Brian Souter and his colleagues from DebtAware have been into school to deliver lessons to both Year 5 and Year 6 classes. The children have thoroughly enjoyed the lessons and learnt some beneficial lifelong skills. 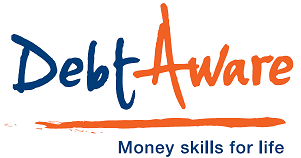 “The children now have a good understanding of how to avoid unmanageable debt in the future and establish money skills for life before bad financial habits are formed.